This is the perfect game day food! 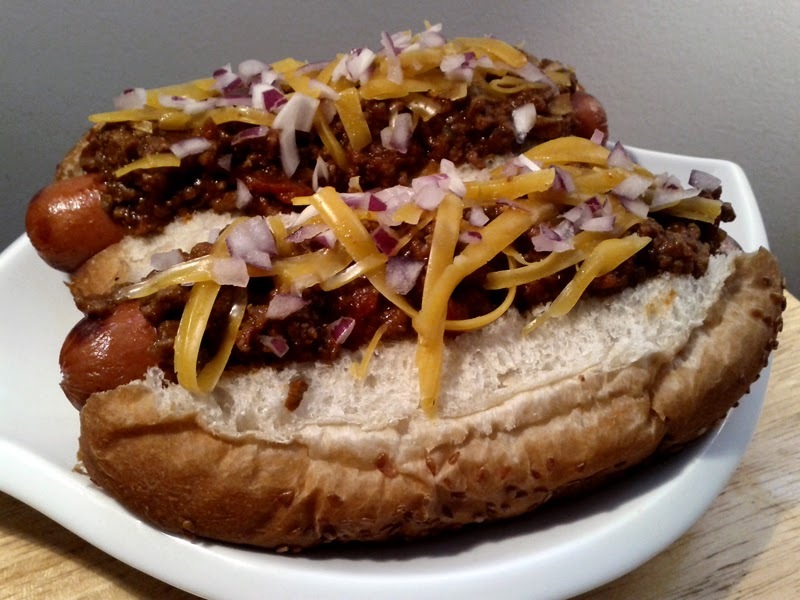 Forget the nachos, chili dogs are where it is at. What's great about them is you can make the chili ahead of time and just warm it up later. You can obviously use whatever hot dog you want, but I find the all beef juicy jumbos have the most snap to them. I just love the texture and the flavour! 1. Make chili ahead of time by frying onions in a big pot. Add ground beef to onions and season with cayenne, cumin, pepper and salt. Sear meat so it is brown and the fat has cooked out into the pot. Add tomato paste and/or canned tomatoes and simmer for 1-2 hours. 2. Dice some red onions. Shred some cheddar cheese. Warm up your chili. 3. Grill up some hot dogs and put them on your favourite hot dog bun. Then later chili, cheese and onions on top in that order.